Third baseman Andrew Gronski connects with a pitch in a game at home last season. 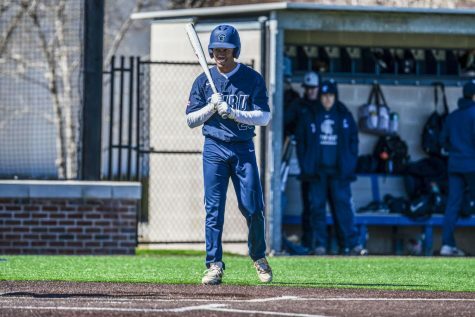 The Spartans were unable to play their weekend games against Allegheny in the expected home opener, but despite not being able to step on their own turf at all this season, the Spartans continue to roll. The Spartans now stand at 15-5. They are still waiting for the weather to allow them to come home. Unlike many times, the Spartans have still managed to strive on the road, a testament to their dedication and work ethic, as they are ranked 21st nationally for Division III. 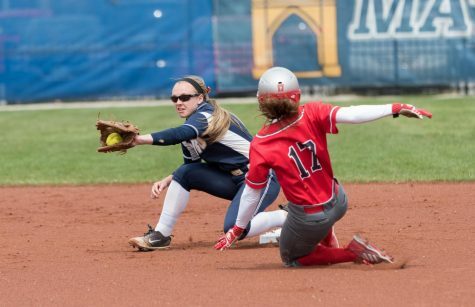 On Thursday, the Spartans split the doubleheader against Heidelberg. In the first game, the Student Princes were able to hold the Spartans to only two runs in a single inning, when the Spartans tied the game in their half of the sixth. Heidelberg scored in the bottom of the seventh and managed to hold on for the one-run victory. Ray Kelly the Spartan starter took his first loss of the season in the opening game. 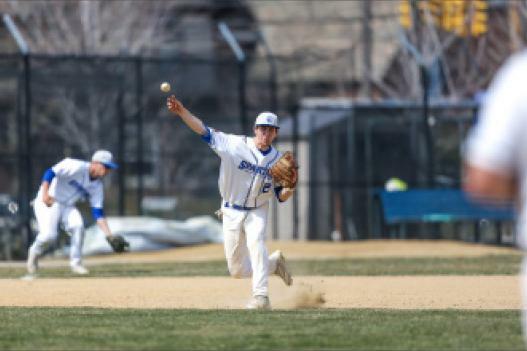 The second game, however, was a complete turnaround from the opener as the Spartan starter John Fortunato worked a full nine innings. Fortunato gave up five hits and only a single run, a long ball sent over the wall by Heidelberg’s Derek Hug. In contrast, the Spartans had back-to-back multi-run innings early in the game to blow it wide open, scoring three in the second and two in the fourth to go up 5-1. 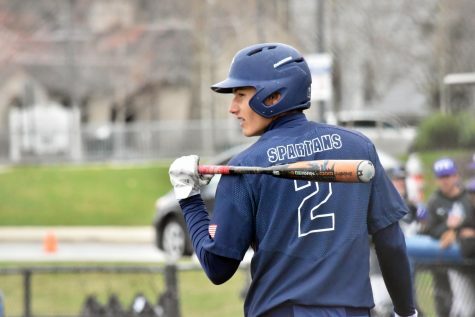 The Spartans tacked on an insurance run in the ninth, which was not needed, as the Student-Princes were unable to touch Fortunato’s pitching, leading to a strong 6-1 win for the Spartans. On Tuesday, against University of Pittsburgh at Greensburg, senior Andrew Frey knocked in four runs and was three of five in his trips to the plate. Frey hit two doubles, the second of which knocked in all three base runners. Frey was helped offensively by third baseball Andrew Gronski and designated hitter Noah Sherman who both sent long balls over the fence. Kevin Johnstone picked up the win on the mound to improve to 3-1 on the season. 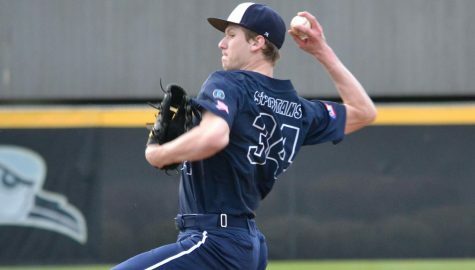 He gave up only three runs and fanned six in his seven innings pitched. On Wednesday the Spartans headed across town to play Baldwin Wallace. The Spartans bats were relatively silent, as they managed a mere one run in the loss. The Spartans had seven hits but were unable to capitalize and Baldwin Wallace knocked in two in both the fifth and sixth and in addition to opening the scoring with a run in the first and put a final nail in the Spartan coffin with another run in the eighth. The Spartan starting pitcher, Fortunato picked up his first loss of the season pitching only five innings. 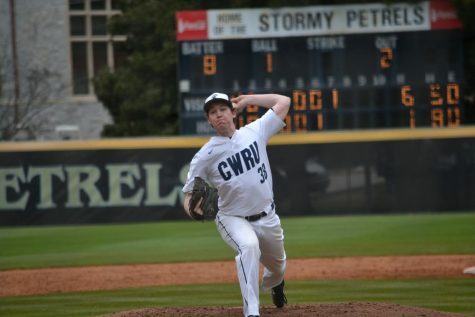 He managed to strike out five despite giving up the first three Baldwin Wallace runs. The Spartans will be looking to extract revenge quickly as they played Thursday afternoon in their home opener, after The Observer went to print. They will continue their first home stand of the year playing against a double header against Westminster on Saturday and a double header against nationally ranked Marietta on Sunday.